The iOS 7 Jailbreak is already out there in the form of Tethered iOS 7 Jailbreak for iPhone 4, and no one has denied it ever. 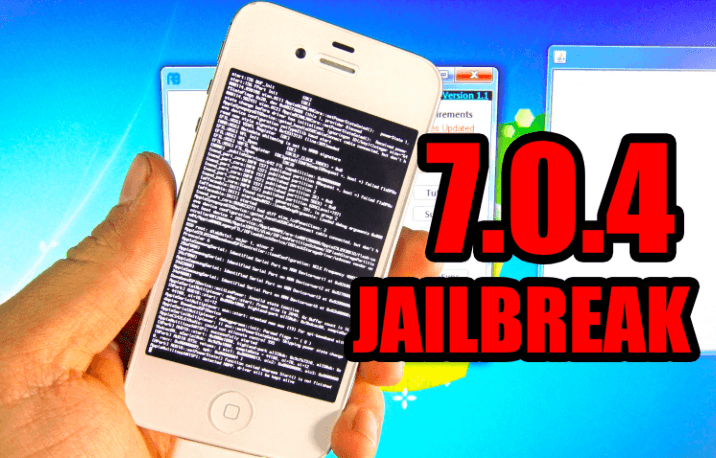 The iOS 7 Jailbreak on iPhone 4 is accomplished since day one of iOS 7 beta development, and is actively allowing jailbreak hackers to discover more kernel exploits to make Untethered iOS 7 Jailbreak for all range of iOS devices including iPhone 5s, and iPad Air. However, the process of performing Tethered iOS 7 Jailbreak on iPhone 4 was buried down in the forums to developers only section, and no one discussed it publicly to stop general users creating buzz around the community. We have already reported several times about the presence of OpenSn0w iOS 7 Jailbreak utility, but it was only meant for developers. 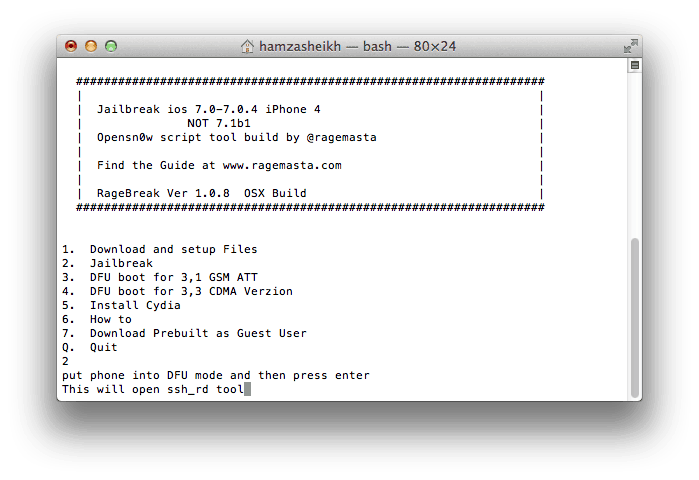 A new Jailbreak utility, RageBreak enters the game with featuring OpenSn0w as the main utility behind Tethered iOS 7 Jailbreak for iPhone 4 devices. The new tool allows users to easily jailbreak iOS 7 on their A4 devices with few steps. It is wrapping the OpenSn0w, and makes it easier for everyone to use. Especially, eliminating the part where users were asked to replace files in their iPhone 4 devices in the past manually to gain root access. We have tried to perform Tethered iOS 7 Jailbreak on our device this week with RageBreak, and now finally comes up with the easiest tutorial on how to jailbreak iOS 7 with RageBreak. 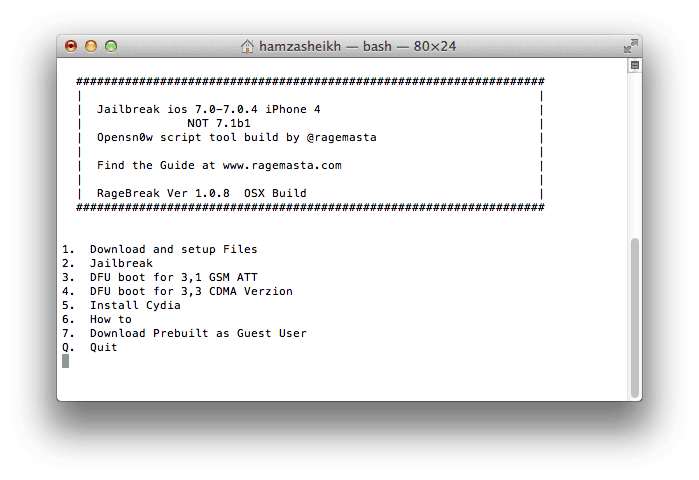 The RageBreak tool is compatible with both Windows and OS X environment, and requires OpenSn0w files to work on your machine. Update Zip – In case if you face any issue while following the tutorial. 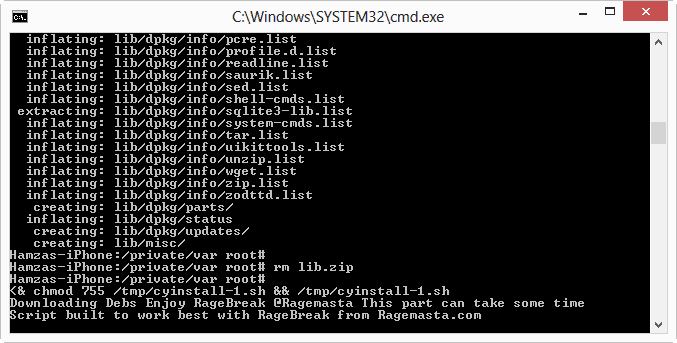 Step 1: Open RageBreak executable file, and Download necessary files. Step 2: Put your device in DFU mode. Press & hold both Power & Home button for 10 seconds. Release the Power button, but hold on Home button for next 10 to 15 seconds. 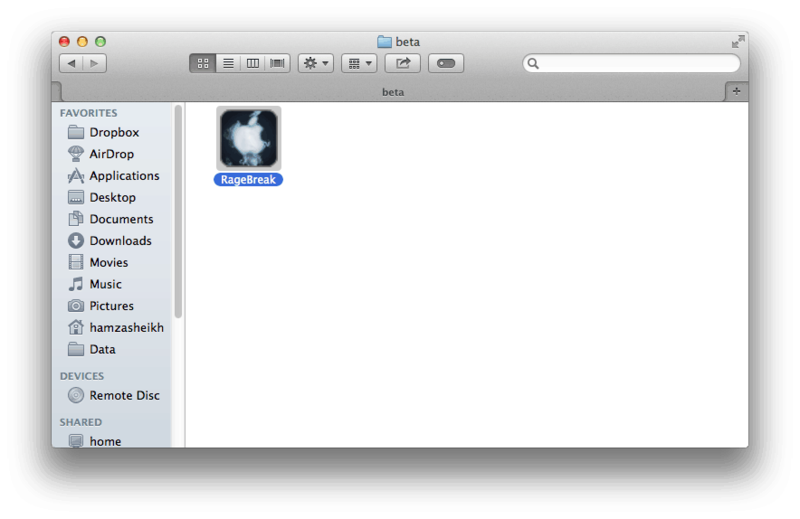 Step 3: Now click on the second button “iPhone 3,1 and 3,3 Only Jailbreak”. 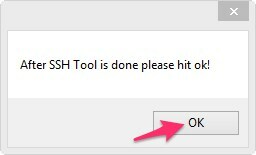 It will start the ssh_tool via Java application. It will automatically perform several tasks, and establishes the connection with your iPhone. 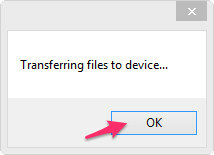 Step 4: Once the Java application completes its task, a new prompt will pop-up to transfer files to your iPhone. Press “OK” to start updating your iOS 7 files with Tethered iOS 7 Jailbreak files. 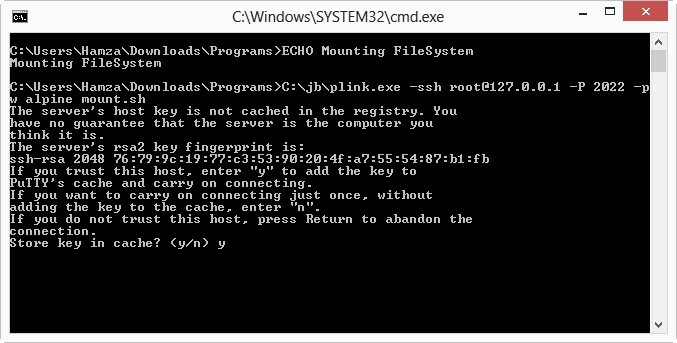 Step 5: When command prompt completes its file transferring on iPhone, it will ask you to put your device in DFU mode to boot tethered iOS 7 Jailbreak. Step 6: Put your device in DFU mode, and click on Boot menu according to firmware and device your carrying. In this case, we are performing Tethered iOS 7.0.4 Jailbreak on our AT&T device. Step 7: Once your iPhone start running, fire up Settings.app, and check out Wi-Fi settings to obtain current IP address of your device. Step 8: Now click on “Install Cydia” button, and enters your device current IP address in command prompt to install Cydia finally on your device. Note: It will take time to perform all the steps, and download all files on your iPhone. Check out all the below mentioned screenshots to avoid any mistake. Step 9: While installing Cydia on Tethered iOS 7 Jailbreak device, the window will ask you couple of times to save the key. You can press ‘y’ to save the keys. Step 10: Once the Cydia installation completes, it will prompts you with a statement “Press any key to continue”, and on other side your iPhone will be in Recovery Mode. Step 11: Now again put it in DFU mode, and boot via the option available on RageBreak window. This time you will get the Cydia icon on your springboard running fine. Xcode with additional “make” command. Step 1: Download RageBreak file, and place it on your desktop and launch. Step 2: RageBreak will open pre-configured Terminal window on your machine. Type 1, and press Enter. It will download the OpenSn0w files on your machine. Step 3: Put your iPhone in DFU mode, and then press enter to continue. 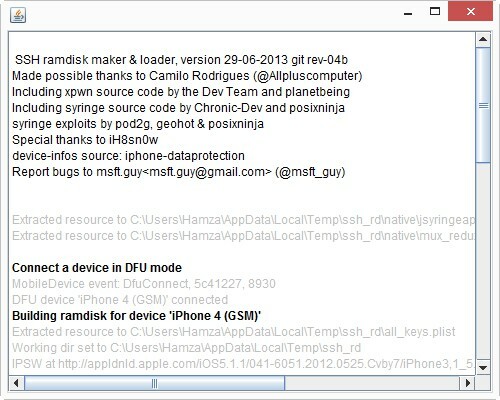 It will open the ssh_tool (Java application) to establish a connection with your iPhone. Step 4: Once the ssh_tool window completes its task, and provides you with default iPhone password “alpine”. 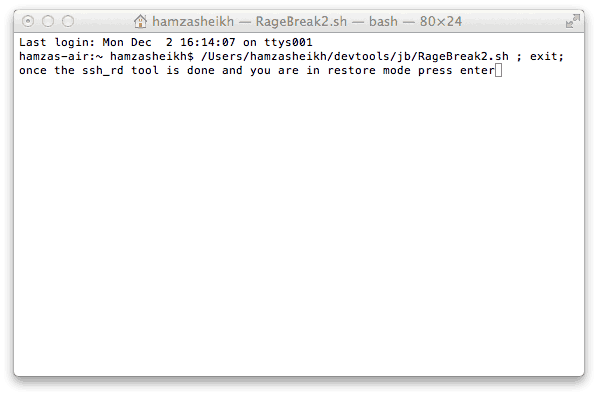 Return back to RageBreak.sh terminal and press Enter. 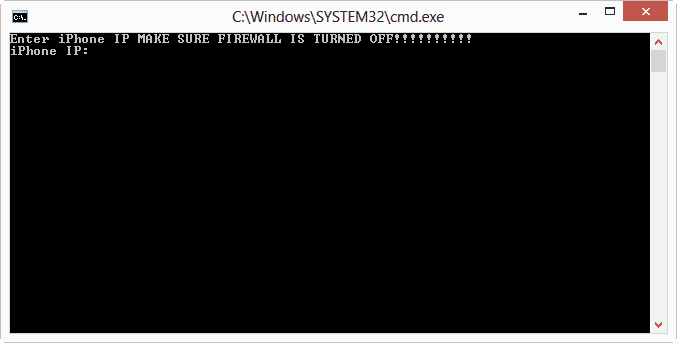 Step 5: In this process step, the terminal will ask you for the password couples of time. Make sure to enter correct password “alpine” every time and press enter to continue. 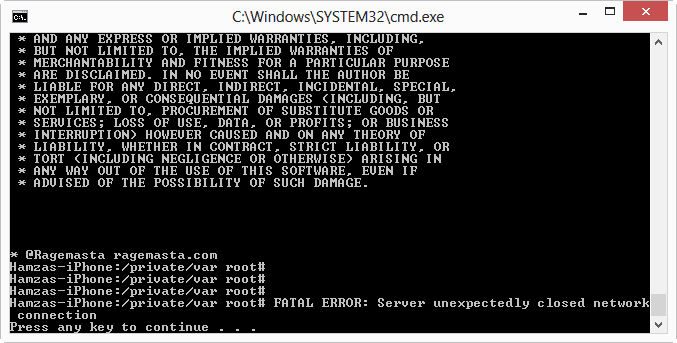 Step 6: Once everything gets finished, press Enter to return to main RageBreak terminal window. 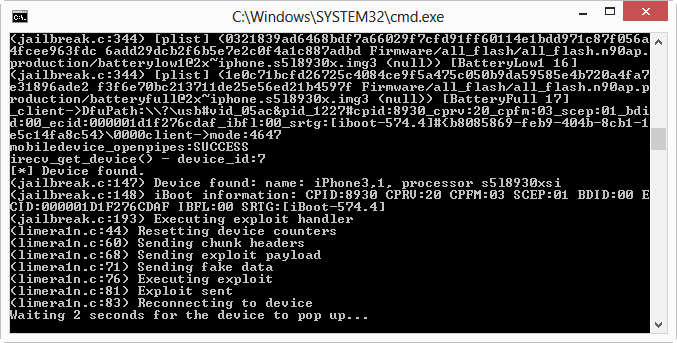 Now again put your device in DFU mode to boot tethered iOS 7 Jailbreak on your iPhone. Step 7: Now type 2, 3 or 4 in terminal according to your device you are carrying with yourself. Step 8: Once your iPhone start running tethered iOS 7 jailbreak, go in Settings > WiFi Settings to obtain current IP address of your device. Step 9: Now type 5 in terminal, and press Enter to install Cydia on your device. 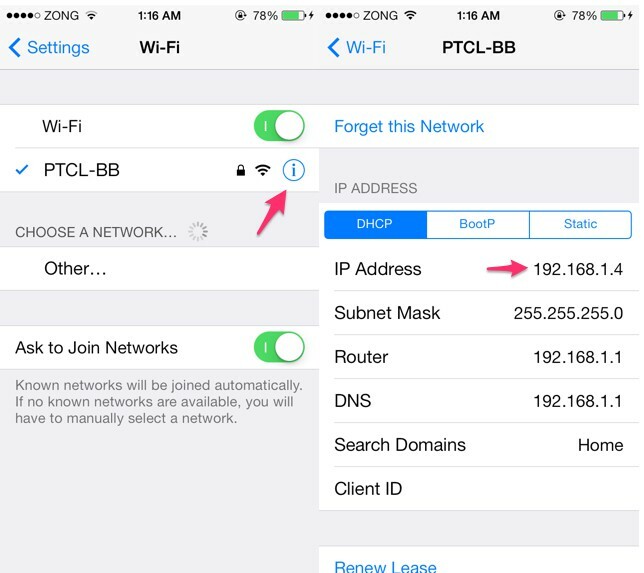 This step will prompt the current IP address of your iPhone, which you obtained in earlier step. Enter the IP address to connect your iPhone with OS X running machine wirelessly. Step 10: Again put your iPhone in DFU mode, and boot via following the step 6 and step 7 instructions. Note: You have to follow Step 6 & 7 instructions every time you reboot your device. It is necessary to run Tethered iOS 7 Jailbreak files to access Cydia on your device. It is merit mentioning here that iOS 7.0.4 Jailbreak is currently in tethered Jailbreak status, and it is meant only for pure jailbreak developers / hackers. If you are following any of these tutorials to jailbreak your device, make sure to get in help with us. In any case, you feel that something is wrong with your device you can simply put your iPhone in DFU mode and restore iOS 7.0.4 on iPhone 4 to return back to normal status from Tethered iOS 7 Jailbreak.